It has been a while since I blogged. 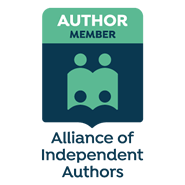 My interview series with authors of literary fiction is going strong thanks largely to the contributions of the many talented members of the Alliance of Independent Authors and other committed authors. Those interviews have done a good job of keeping my blog busy. I have been planning a post nevertheless, which, when I publish it in the not-too-distant future, will share some interesting insights from the literary fiction survey I have conducted over the past few months with the above-mentioned authors. Before then, though, I have to publish this post. And THIS post is born from the fact that I need to eat some humble pie. Sometimes literary fiction can be, simply, that body of writing that doesn’t fall anywhere else. At least that was the predicament faced by Catriona Troth, the eighth indie author in my literary fiction interview series, when she sought to place her novel, Ghost Town, for sale. Powerful language and the ability to deliver something deeper than a superficial plot are equally defining characteristics. Timing, finally, can play a role in the genre of a story. Troth’s novel, set in 1981 in the British Midlands city of Coventry, doesn’t quite qualify as either historical or contemporary fiction.